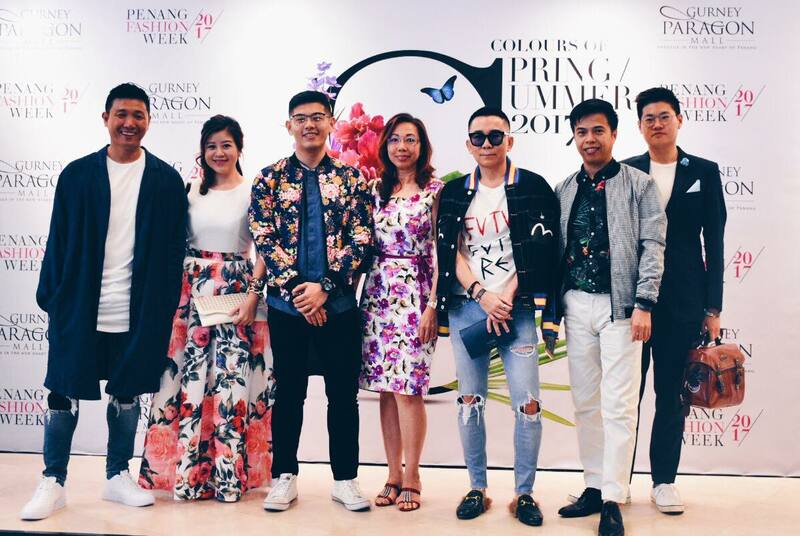 Being one of the leading shopping malls and also housed many fashion outlets in Penang, Gurney Paragon Mall held its Penang Fashion Week for the 3rd annual in Penang after the successful events for previous years. The theme this year Colours Of Spring / Summer 2017 is all about vibrant and fresh colours, aims to showcase people about all the special collections for the Spring & Summer this year. 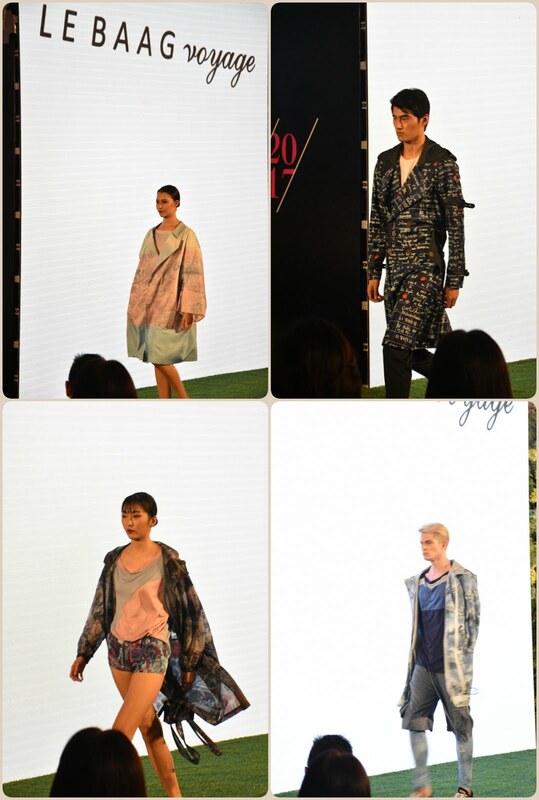 Penang Fashion Week 2017 will be happening for 9 days with a total of 17 designers involved in the total 27 fashion shows for all guests and patrons. 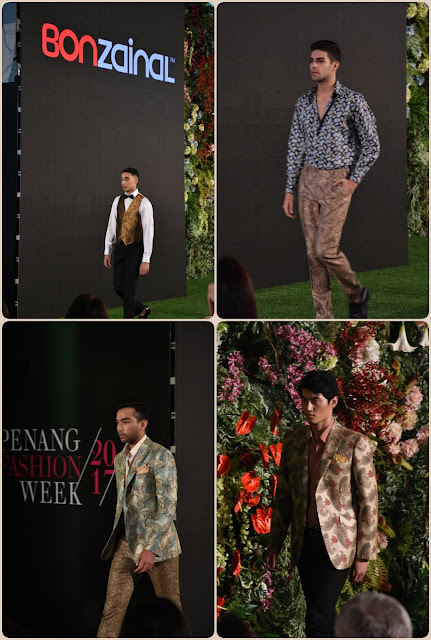 If you would like to witness this one of the grandest event in Penang, don't miss out all the fashion shows happening only this week in Penang by Gurney Paragon Mall! 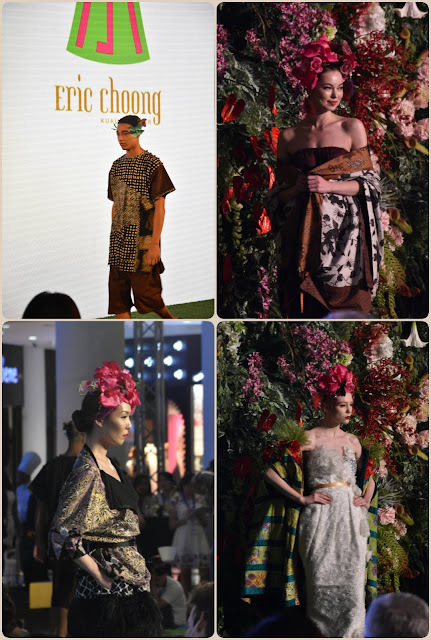 Media friends and VIPs, fashion designers and all the fashion icons were invited to attend to the Penang Fashion Week 2017 Gala Launch which was held on 15 April 2017. A group photo with the other media friends. 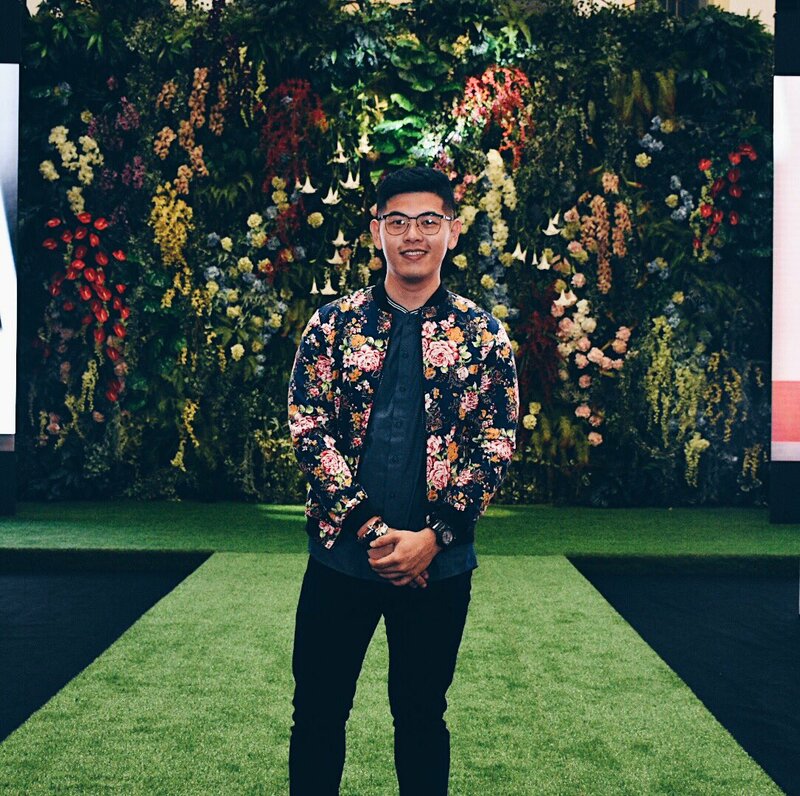 It was a colourful night with the specially designed floral backdrop and the fascinating runway by the mall. It was really impressive and glamorous, how can you not take a picture with the beautifully decorated runway? All the guests and VIPs were welcomed with a great cocktail session specially prepared by Gurney Paragon Mall! There were honey wines served by Wamssler as well as some canape food. All the guests were greeted by emcee Nadia Heng and followed by welcome speech by Hunza Group Executive Director, Ms Khor Tze Ming then to Penang State Exco for Tourism Development, YB Danny Law. One of the international fashion icons, the Professor Jimmy Choo / Dato Jimmy Choo also attended the event. It was such a pleasure to be able to see him face to face. It was a shame that I do not have the courage to ask for a photo though. Also token of appreciations to some of the trade partners and sponsors. Also, Gurney Paragon Mall is proud to present 王君馨 Grace Wong, the HK artist who had her own label DearestGrace that opened on the same day of the Penang Fashion Week 2017 Opening Gala at Gurney Paragon Mall. 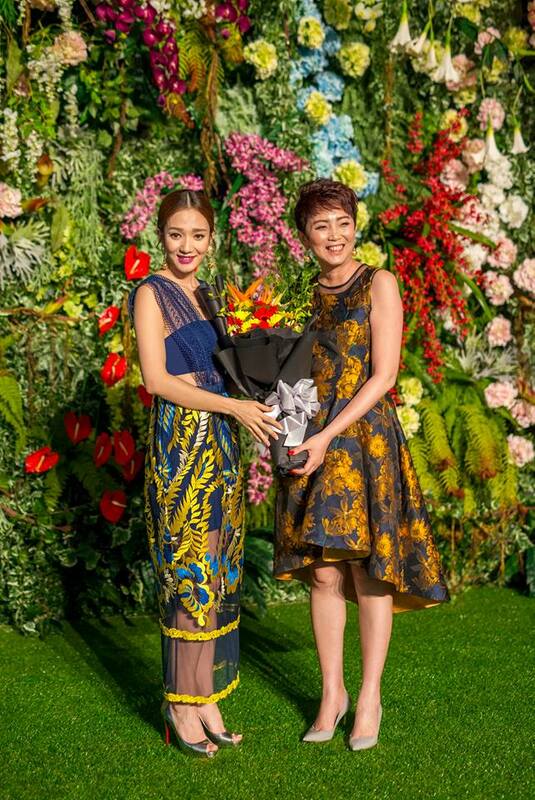 Photo below taken from Gurney Paragon Mall Facebook page featuring Grace Wong & Lily Tan, the Executive Director of Hunza Group. Penang Fashion Week 2017 started with all the handsome and pretty models on stage. 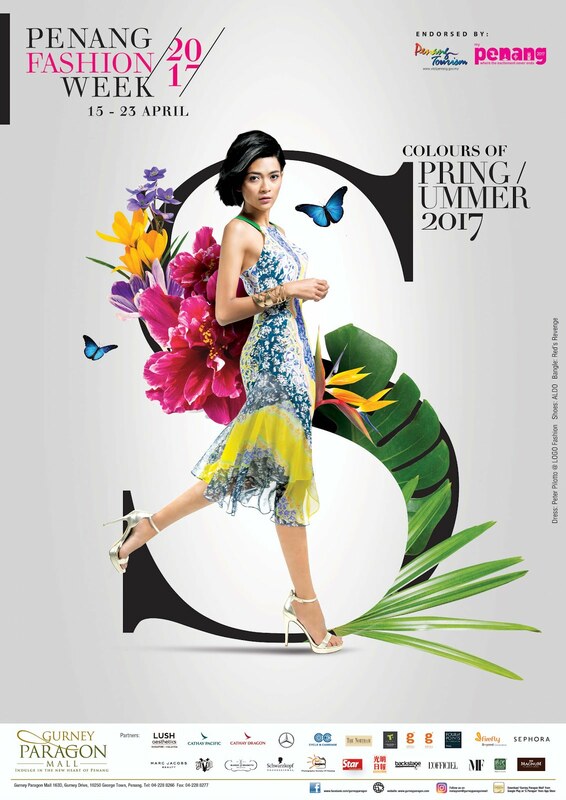 Penang Fashion Week 2017 by Gurney Paragon Mall will be happening until 24 April! There were be showcasing of all Spring/Summer 2017 collections by international and local fashion designer! 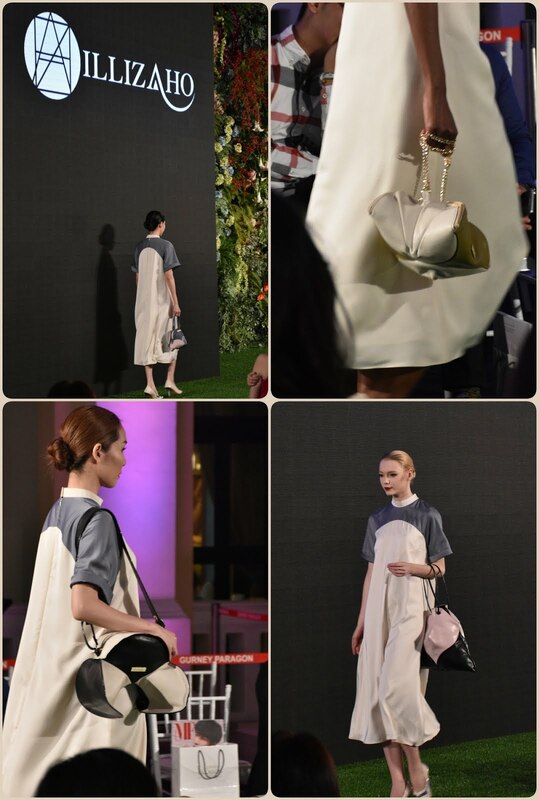 More info please stay updated with Gurney Paragon Mall Facebook page! It's been a hit in Penang for a while now! Something the cheese lovers should not miss is the Raclette Cheese craze in Little Journey Man Cafe that opened in Jalan A.S. Mansoor(Same building with Museum Hotel next to Transfer Road). I believe we all get quite excited whenever we hear new stuff happening in Penang, now this is one of the top hits in Penang. The cafe is secretly located in one of the small street of George Town, at the Jalan A.S. Mansoor, which is just right next to one of the main street, Jalan Transfer. People who are not familiar with this place may not be able to find it easily. If you are driving along Jalan Transfer, it is right after Jalan Hutton on the left. 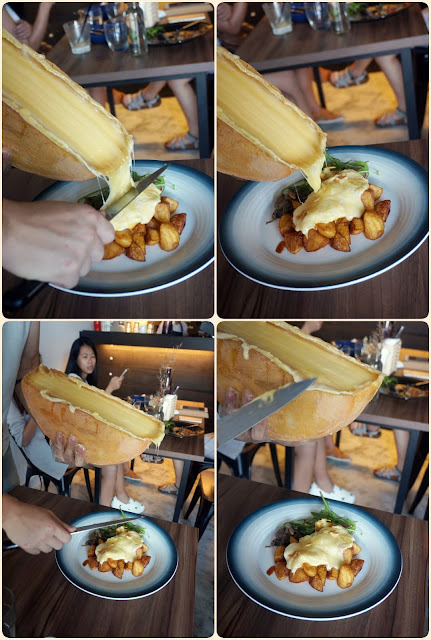 One of the most attractive dishes here on the menu would be none other than the hot melting Raclette Cheese that they will scrape it off right in front of your face to your plate! Melted Raclette on Crispy Potatoes is priced at RM25.00 for a very generous amount of cheese,diced potatoes and some salad. The potateoes weren't crispy, but I do like how it went well with the Raclette Cheese. You gotta finish this dish while the cheese is still melting hot. Though the cheese was quite heavy but it is perfect to pair with the potatoes that came without any seasoning. There are also some pasta selections on the menu. We tried the Salted Fish & Tune Linguini Pasta priced at RM18.00 and find it rather interesting. The flavour was quite creative as we have never experience any pasta cooked with salted fish before. I would say that it is quite addictive and yet very localized. I have never expect someone to cook pasta with salted fish and this one is definitely a good fusion. Among all other dishes, this Grilled Chicken & Mushroom Fettuccine would be my favourite in Little Journeyman Cafe. The cream based pasta was kind thick and creamy, and best is they have added TRUFFLE OIL in this pasta to make it much more fragrant and delicious! Every bite of the pasta was a sin to a person who is on diet! 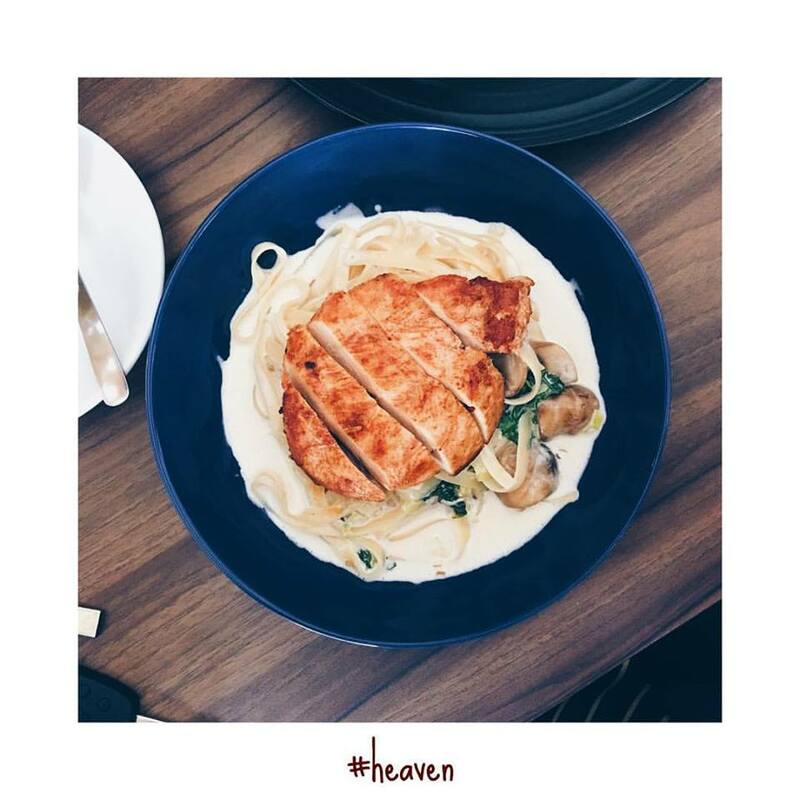 But worry not, cause you can still have the grilled chicken breast to go with your heavy pasta. This plate of pasta is priced at RM19.00 for a generous portion, highly recommended! As for sharing, we ordered the Truffle Fries with Special Dip. Priced at RM10 per plate, served hot and crispy. Address: 66, Jalan A. S. Mansor, 10050, George Town, Penang. Do not be surprised if your mom or your grandmother or any of the elderly from your family feels familiar when you mention the name Loke Thye Kee 乐台居 to them. Loke Thye Kee 乐台居, a place that existed in Penang for almost a century and used to be the most popular restaurant in Penang famous for their Hainanese delights. It made a comeback just few years ago but it didn't succeed due to the poor service and average food quality. Many bad reviews were made and Penangites lost their confidence towards this place. Recently bought over by the new management, this place has come alive again with their new menu that attracted Penangites to come and try their Hainanese Chicken Chop, Choon Pneah as well as all other Hainanese dishes on the menu. The nostalgic interior is still as attractive as ever. This place is looks like my grandparents' kopitiam in early 90s. A memorable thing where I always asked for yellow Hacks candy whenever I go to Chai Diam Ma when I was a child. Just like the good old days. Kimball sauces, just like how the kopitiam serve western food during the past. A simple breakfast menu. You can grab your traditional toast and half boiled eggs craving here while enjoying the ambience of this historical building. Price is much cheaper than some chain restaurants. A traditional way to make a cup of hot and bold Kopi O! 1. Pour hot water into the cup to preheat it. 2. 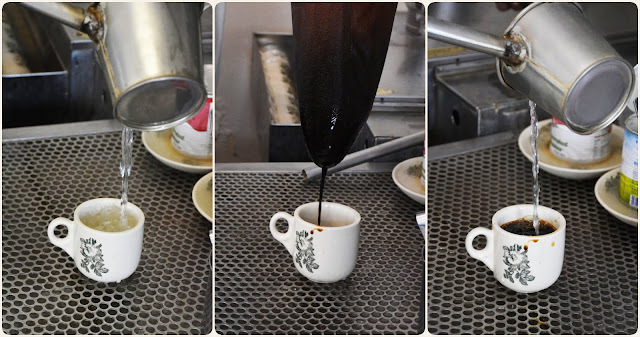 Pour the thick Kopi O into your cup. 3. Add hot water to fill up the rest of the cup. 4. Enjoy a glass of thick and fragrant Kopi O on your table! Thanks to our Kopi Tau Chiu(barista) for the nice cup of Kopi O! One of the must have Hainanese dish would be none other than a bowl of nicely braised duck and yam in thick broth. This is the kind of dish that will get you crave for a bowl of white rice. After hours of cooking, the broth is thick and great to savour. Our only concern was the duck and yam was too big in pieces, but Loke Thye Kee got the texture perfect and it was delicious! What could be better than a pot of boiling curry filled with spices and thick curry soup. Together with some fresh tomatoes, ladyfingers and fresh fish cutlets that made it perfect. The curry was kinda addictive and perfect to go with every spoonful of rice. If you plan to come here with your family, do try out all the signature offerings on the menu. Hainanese food will never miss out a nicely fried to perfection Choon Pneah. The restaurant got it done nicely that gives it a perfect crisp on the outside and a well combined filling consists of minced meat, crab meat, softly braised turnip as well as some spices to make it tasty. The skin was thin and the filling was simply compact. Every bite was simply a tasting pleasure. Another highly addictive dish would be the kerabu kacang botol which was slightly spicy but this sour appetizer is really appetizing. If you would like your kerabu to be extra hot do remember to ask them to add more chili padi! When this dish served to our table. We were filled with joy and sounds from the stomach can be heard! It is my favourite dish of all and it was priced reasonably! A person who really enjoy asam prawns will not leave any single sauce even on the shell! Savour it from head to toe(tail) and don't waste the thick and flavourful sauce on the prawn! So.... a plate of white rice for everyone maybe? Apart from all the signature dishes, if you are dining with your friends or alone, you can also order some of the single dishes on the menu. Picture below is the Hainanese Chicken Chop priced at RM19 for a generous portion. What you see is what you get! This is exactly the size of the chicken chop which they emphasize on the juicy meat, delicious sauce and served with coleslaw, wedges and vegetables! If you are planning to throw a party, you can consider hosting it at Loke Thye Kee 乐台居 with the lovely view on the 3rd floor. This place has got 3 sections and can be great for any parties or events!